The CD gives no indication that you’re listening to and Amy Cimini on viola and Katherine Young on bassoon. Maybe the idea is to absorb their identities into the duo, to force you to think of the music as coming from a single entity, a single mind. Maybe I just overthink these things. Those who’ve heard Young’s solo bassoon album, Further Secret Origins (Porter, 2009), won’t be surprised at Moment One of this album, when a buzzing, throbbing bassoon sound drops into the scene, followed shortly by scribbly, scratchy viola bowing. Young pumps away at one tone, then another, in a jumpy Morse code, while Cimini works the viola through aggressive gestures thick with glissando. The music is organic, with the two instruments played acoustically, no effects. It sounds mostly improvised, with all the dynamism that the label implies. Some tracks linger on one trick or formation for a while, like the upward duet squeaking on “Glitterbird,” but the sound is full of variations and pulse. Young’s Origins relied on dronelike states, with the bassoon adding pockmarks that added up to a feeling of activity and motion. The same process is hinted at here, but Cimini’s viola is more wild. The two together create a vivid sense of color. One composed-sounding passage shows up on “The Field,” when Young and Cimini drop out of a really interesting, bubbling improv and tiptoe into a careful melody. As the composed line starts to unravel, Young sticks to airy tones of concentration, while Cimini plucks strings in a spare but quickening cadenza. The bassoon’s dronelike scraping takes over on “Surgeon of Fades,” providing a stucco backdrop to some pulsing, downcast viola playing. That one ends with some nifty, high-register viola sawing with a simultaneously plucked lower string — which sounds really music-techno-geeky, but it’s a neat effect. Technically, I haven’t listened to this album, but I’ve heard the music, after finally seeing the Thomas Riedelscheimer film, Rivers and Tides: Andy Goldsworthy Working with Time. Frith’s music is the aspect that got me to know about this film in the first place. For such a gentle, quiet setting, he applies an appropriately minimal touch — small bursts of tone or sound, surrounded by blank space. Influences from Chinese and Japanese music are evident. Like Goldsworthy’s art, the music is thought out, chosen to blend with the surface. It’s not ambient, and there’s a variety of sounds, produced mostly by Frith on guitars, violin, berimbao (Brazilian stringed instrument that he infuses with a zen Asian touch), and samples. He’s also got a band of bass, sax, and drums at his disposal, producing atmospheric sounds, not trio jazz. The movie’s not about Frith, obviously, but his music gets its moments, particularly at one point near the end. It has to do with a large-scale installation Goldsworthy did in New York, a commission that, unlike most of the art in the film, is built to withstand time and the elements. What makes this segment so effective is that you see the work up-close, in progress, and it seems unremarkable. Then they show you what he was really doing, and — well, I won’t spoil it (and you can’t miss it). Frith’s faster-paced, chiming theme quickens the pulse of the movie at this point, rightly so. If you don’t know Andy Goldsworthy, his art uses materials found in nature, and it’s often ephemeral, meant to be destroyed over time. The opening sequence has him breaking up icicles, melting the ends of fragments to form his trademark switchback shape, positioned as if weaving in and out of a rock. The serpentine icicle is made possible by the pieces refreezing into place, and it shines (literally) as the sun strikes it. The sunlight “makes” the piece, and eventually unmakes it. For Goldsworthy, it’s all mostly about making a deeper contact with his materials. 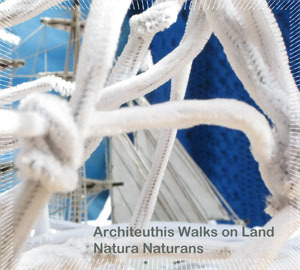 But there’s something being said as well about the strength and indifference of nature as it pushes forward, going around or through Goldsworthy’s pieces. It’s not necessarily about destruction. Some pieces aren’t complete until being overwhelmed by the elements. Consider the dome of driftwood in the photo above. When the tide comes in, the edges drift away, but the structure stays intact — and gets carried off into the current, down an estuary. “You feel as if you’ve touched the heart of the place,” Goldsworthy says — one of the many small, profound sound bites set against placid backdrops of nature. The film also demonstrates the risk that I suspect is present in all art but doesn’t get discussed much, especially in the visual arts. There must be sculptures that crack incorrectly, paintings that go astray because of an incorrect line. So, here, we get to see Goldsworthy painstakingly build a bowl shape out of rings and rings of flat stones, only to have the whole thing split apart, collapsing downwards like children’s blocks. The film then goes on to show what he was trying to build: an egg shape, standing on its fatter end (so this “bowl” was just the beginning). There’s one in an airport. One on the side of a mountain road. One made of ice, sitting in a river. And finally — the one Goldsworthy was trying to build, completed this time. He puts the final pebbles on the top. Then the camera dissolves forward to the tide rising, turning the egg into a small hill. That’s juxtaposed with another egg, built of brick, in a field — where it’s the overgrowth of plants, rather than the tide, that buries the “cone,” as Goldsworthy calls it. As he points out, the shape is gone, but still there. For all of that gushing, though, I don’t have many FMP albums. They weren’t easy to find in the States; they were expensive; and, apparently, they’re now gone. Out of print. Enter Destination: Out, the terrific blog for free jazz analysis and sample tracks. They’re offering FMP albums for download, for $10 apiece — actually $8 if you move before Oct. 4. 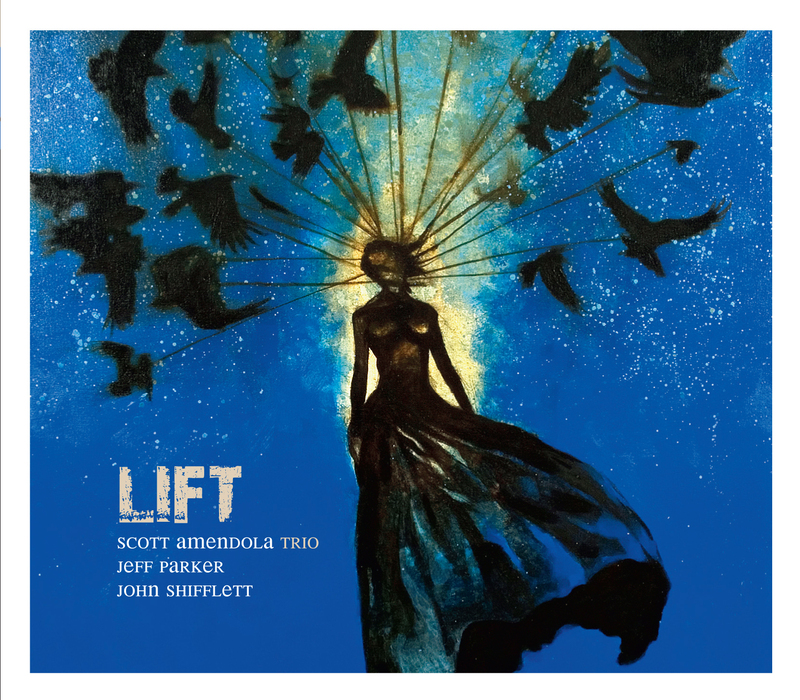 Drummer Scott Amendola is about to put out his first album leading a trio, Lift. It’s coming Oct. 19. You can’t judge Lift by two tracks, but here goes. The surface is showing a reimagining of T.J.Kirk-type funk and a rediscovery of jazz territory. But the start to “Lift” shows there’s going to be room for some wide-open improvisation as well. That band also benefitted from a lineup of expansive players — Jeff Parker and Nels Cline on guitars, and Jenny Scheinman on violin. Lift pares things down to a trio, with Parker and S.A.Band bassist John Shifflett. 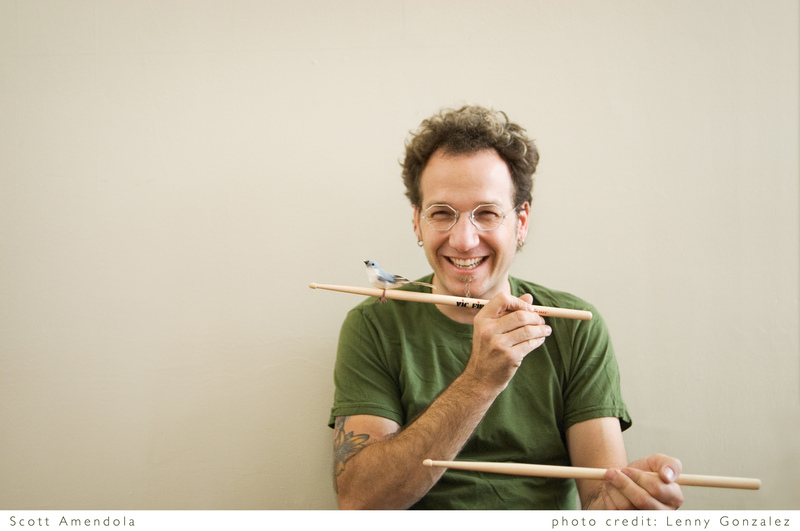 But at the same time, Amendola has broadened his scope in compositions and in performance options — his electronics play some key roles in recent Nels Cline Singers albums, The Celestial Septet and the colossal Initiate. Sun. Oct. 24 — Dana St. Roasting, Mountain View, 7:30 p.m.
Wed. Oct. 27 — The Goodfoot Lounge, Portland, Ore.
UPDATE 9/24: OMG, the People & Thingamajigs festival, mentioned at the bottom, made it onto cable TV news. Check out The Rachel Maddow Show, and look into Kent Jones’ stuff. It’s one of those times where a lot of interesting shows have clustered. You can keep up with Bay Area creative music shows at BayImproviser or Transbay Calendar — they use the same calendar database. Here’s a summary of some upcoming events, including an unusual number of multiple-show appearances. All shows are eveningish (8 or 9 p.m., usually) unless noted. Wrack — Kyle Bruckmann first convened this group in Chicago, and he’s now bringing the idea with him to the West Coast. With viola, bass clarinet, and oboe, Wrack puts a distinctively different sound on its chamber jazz improvising. It’s more tart, slightly sour. You can easily hear that the instrumentation isn’t the usual, and on CDs, it’s been a terrific experience. Wrack plays twice by themselves and once with ROVA. Coltrane Tribute — It’s Coltrane Birthday season, and I would assume there’s a concert or two every year around the Bay Area that I’m not aware of. This time, though, one of them lands in the Luggage Store Gallery, a regular improv spot. 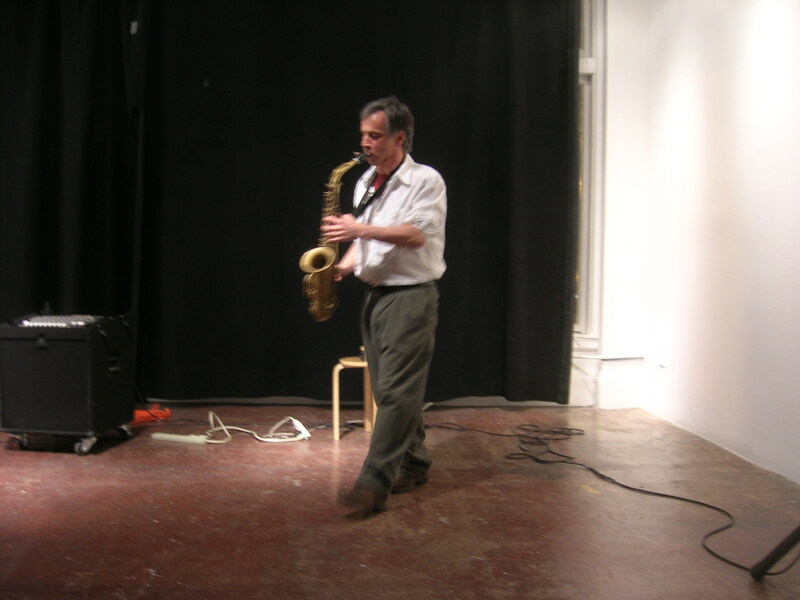 Dan Plonsey, Steve Horowitz, and Vinny Golia will represent on the saxophone, and there’ll be readings as well. San Francisco Composers Chamber Orchestra — The classical new-music group convenes again. Serious music in a neighborly atmosphere. The theme this time is “Animal Vegetable Mineral,” and the slate includes pieces by the late Jorge Liederman, the non-late Terry Riley, and SFCCO members. Music for People and Thingamajigs — The 13th installment of this annual festival celebrating not only experimental music but creative, new instruments. The Thingamajigs folks are a bona fide nonprofit group that takes to the schools, teaching children the joy and education that can be found in building instruments and messing around with sound. It’s not avant-garde by any stretch, and some of the musicians who’ve noticed themselves on this blog might be appalled to be put in this company, but — yes, I listen to regular jazz on occasion, including Brad Mehldau’s latest, Highway Rider. The album augments his trio (which he’s ending, apparently) with Joshua Redman on saxophone and a chamber orchestra on a few tracks. It’s ambitious and strikes me as sounding particularly Pat Metheny-esque. I’m not a fan of big string sections with jazz. Yes, they can dial up the drama, but a lifetime of TV and movies has my brain linking a cinematic sound with corniness. Not always, but usually. I recall some years back, when KZSU, by total coincidence, received a spate of jazz CDs that added string quartets, mostly in unimaginative wannabe-classical arrangements. That didn’t help. Some of the orchestral touches are novel, though. The contrabassoon gets a low, low passage to end “We’ll Cross the River Together,” for instance. And overall, I appreciate the bigness behind the orchestrated pieces. It’s cinematic and spacious. Maybe the drive-in screen on the album cover is apt in that sense, minus the associations with dilapidation and obsolescence. Metheny has done similar big-sky work with chamber orchestras. Secret Story (Geffen, 1992) impressed me in places. The ending to “Finding and Believing” uses strings for depth behind a fast, breezy two-chord pattern that’s at once soaring, sentimental, hopeful, and even rocking. That’s the kind of Metheny connection that comes to mind as I listen to Highway Rider. And on some of the compositions, like “The Falcon Will Fly Again” (a small piece without orchestra), I can almost convince myself Metheny was the composer. The best part of Highway Rider, though, is that not every track tries to be huge. That would get tedious over the course of two CDs. Small pieces with the regular trio (or quartet, with Redman) make for good breaks from the swelling strings and provide a more crisp experience, a peek into a smaller world that’s no less rich or intense. I haven’t thoroughly listened to Highway Rider yet, but anyway … that’s what came spilling out of my brain on a first listen, searching, consciously or not, for those Metheny parallels. 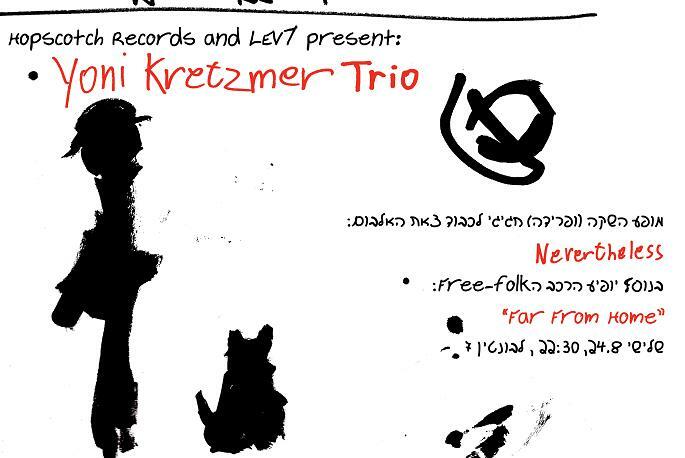 Thus did I find the name of Yoni Kretzmer, an Israeli saxophonist. A search on the Downtown Music Gallery site revealed a CD of Kretzmer’s. On a visit to NYC, I asked about it; DMG had mostly sold out of the copies he’d left them while on tour, but proprietor Bruce Lee Gallanter, who knows the store better than I know my disheveled office, tracked down a stray copy in the back. It was a lucky break, because as with a lot of creative musicians, Kretzmer’s strongest distribution network is his own two feet. DMG wasn’t expecting another shipment any time soon. Kretzmer is a tenor saxophonist with a flowing, agile style that certainly shares some colors with Berne. You can hear it early on in this CD, with an exciting, darting solo alongside Daniel Feingold’s drums on “2-700,” just the two of them, bright and joyous. The rest of the band is a string trio: cello, bass — and, yes, viola. They’re the rhythm section, defining the unusual and very enjoyable sound on the album. Their parts truly are closer to a jazz rhythm section than a string quartet. Listen to the wandering, upbeat composed line on “2-700,” twisty and pleasant. You could easily picture a downtown NYC band performing with a sax and guitar. It does remind me a bit of Tim Berne’s music. I don’t mean to make it sound like Kretzmer is a Berne clone. He’s not. It’s just a side effect of the way I discovered the CD. Plus, the artwork reminds me of Steve Byram, Berne’s artist of choice. Look, here’s a non-Bernian moment: “Drunken Morning,” a flowery composition where the strings take the lead, opening with some elegant cello soloing and a gossamer sax accompaniment. It’s elegant, respectful, and mellow — and yet has an undercurrent of attitude. Little tricks between the cello notes — tiny glissandos or liberties taken with timing — show off a jazzy bent. If none of this sounds out-there enough for you, “Mess in A” sometimes lives up to its name — in a good way. The track ends up in a space with viola and cello playing a deliciously tense set of chords, the backdrop for Kretzmer’s soloing and some spare but swinging bass comping by Ehud Etun. “She Knows” starts off with a stark improvisation — slashing strings, wandering sax, quietly rumbling drums. To me, it’s the first track that really captures the stark grayness of the album cover. It gives away to a calm tune that drifts across a slow march rhythm. I know I just said the strings don’t play like a classical quartet, but some of their best moments come from that kind of precision. One crescendo in “Harder” includes the viola and cello sawing away at chaotic high notes, but doing so in lock step. I like Kretzmer’s playing a lot, too. I like his control and his creativity, his attention to melody, and the careful placement of rasping or buzzing notes, just enough to add edge. He’s playing at Downtown Music Gallery on Oct. 10. If you’re in New York, maybe you can hit him up for some CDs then. More about this particular CD at All About Jazz. Kretzmer can be found in a more conventional setting with the quartet Rats, hearable on Myspace and, in samples, at CD Baby. UPDATE: Well, according to this, Kretzmer has moved to NYC and has a trio album available. So, now you’ve got no excuses.